These iMacs are in Perfect condition. They are from our Affordable Mac Certified Refurbished Programme where we source the very best Quality products with little to no signs of use on them and offer a full 12 Month Warranty. Often they will come with the original Apple box (not Always). These are great for gifts as they will look almost brand new. We do not always have stock as they are hard to source all the time but we are constantly working hard to keep them in stock. They are of course a little more expensive but worth it. Important; This item is sold under the VAT Margin Scheme so no VAT invoice can be supplied. The iMac “Core i5” 2.9 21.5-Inch Aluminum (Late 2012) features a 22 nm Quad Core 2.9 GHz Intel “Core i5” I5-3470S (Ivy Bridge) processor with fourindependent processor cores on a single chip, a 6 MB shared level 3 cache, 8 GB of 1600 MHz DDR3 SDRAM (which is not intended to be upgraded after purchase), a 1 TB (5400 RPM) hard drive, and a NVIDIA GeForce GT 650M graphics processor with 512 MB of dedicated GDDR5 memory. It also has a built-in “FaceTime HD” webcam and stereo speakers, but lacks an optical drive. This model has a 21.5″ 1920×1080 LED-backlit 16:9 widescreen IPS display with the “cover glass fully laminated to the LCD and anti-reflective coating.” The rear of the case is aluminum and is thicker in the middle and tapers to a razor thin 5 mm at the edges. Connectivity includes four USB 3.0 ports, dual Thunderbolt ports, Gigabit Ethernet, 802.11n, and Bluetooth 4.0. 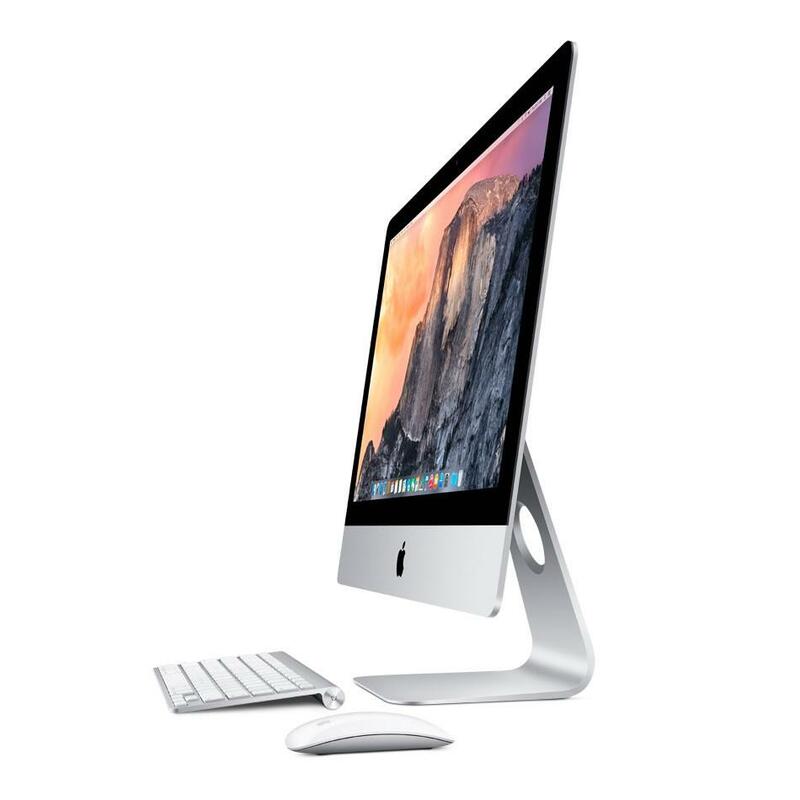 In addition to a thinner case design, the “Late 2012” iMac models have faster processors, faster architectures, faster RAM (although it cannot be upgraded easily in the 21.5-Inch models), faster graphics, as well as different connectivity than the “Mid-2011” iMac line replaced.